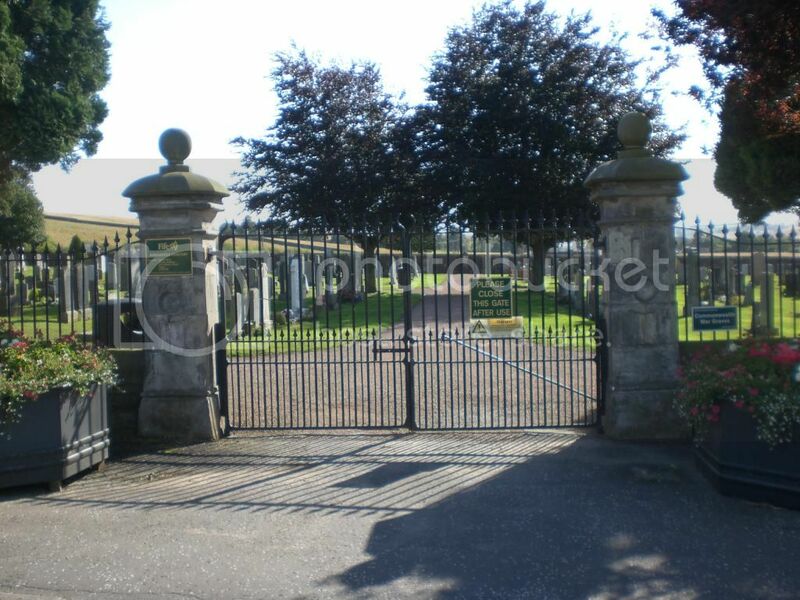 Kingskettle Cemetery sits on the (T)junction of the B914 (Cupar Rd) and the B9129 (for Kingskettle); positioned approx half way between the villages of Kettlebridge and Balmalcolm in Fife. 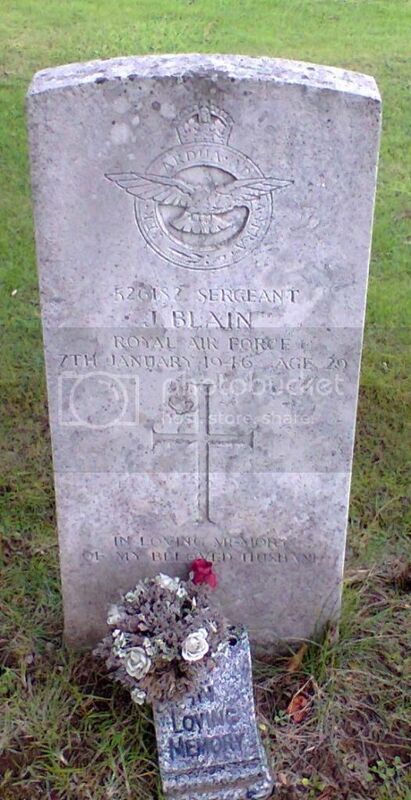 Posted: Thu Aug 28, 2014 1:02 pm Post subject: Blain, J.
Cemetery/Memorial: Kettle Cemetery Grave Reference: Sec. T. Grave 16 West. Additional Info. 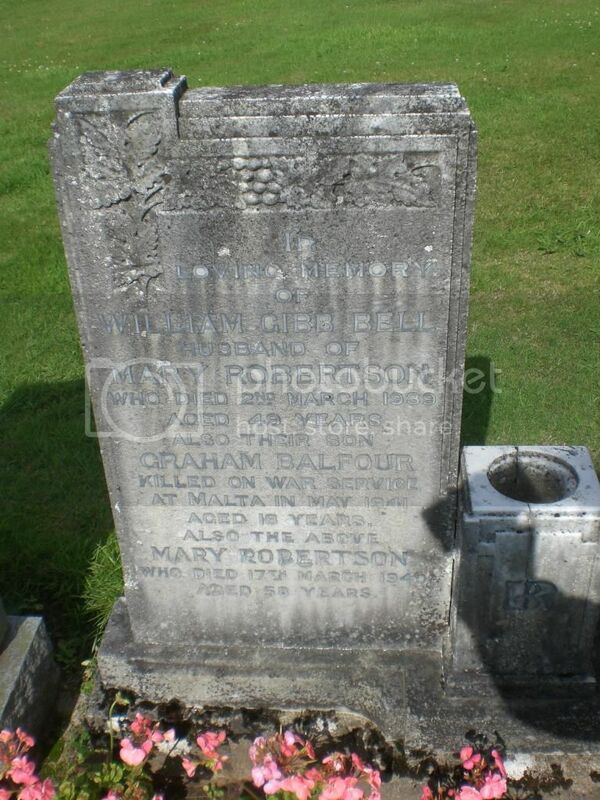 Husband Of Muriel Falconer Henderson Blain, Of Cupar. Posted: Thu Aug 28, 2014 1:03 pm Post subject: Campbell, John. Cemetery/Memorial: Kettle Cemetery Grave Reference: Sec. F. Grave 28 East. Additional Info. 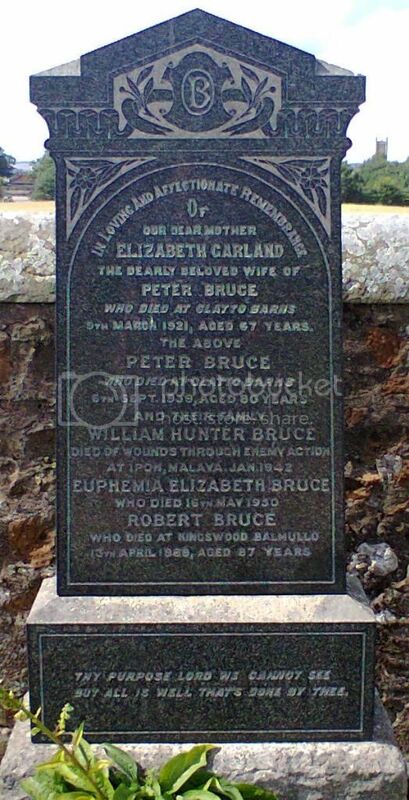 Son Of Alexander And Elizabeth Petrie Campbell of Ladybank. Cemetery/Memorial: Kettle Cemetery Grave Reference: Sec. E. Grave 21. South. Additional Info. 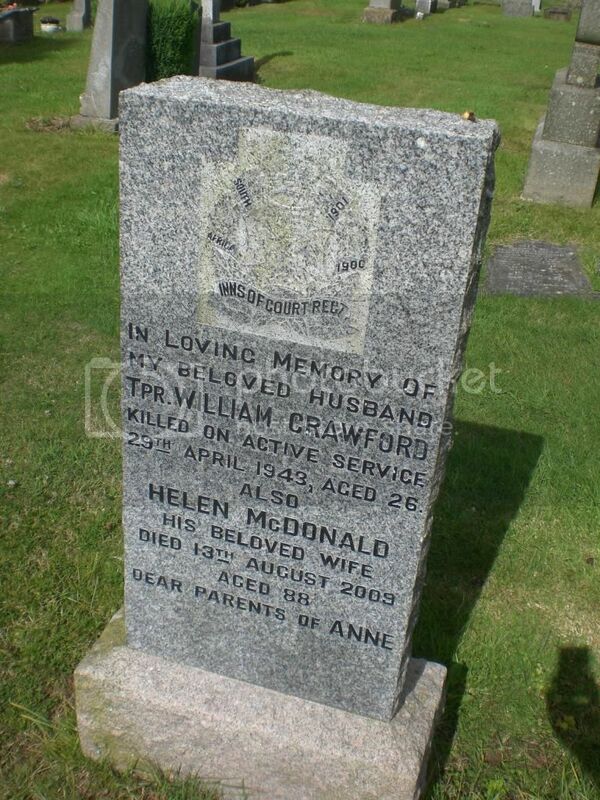 Son Of William And Jemima Hain Crawford; Husband of Helen Mcdonald Crawford of Ladybank. Posted: Thu Aug 28, 2014 1:09 pm Post subject: Kerr, William. Cemetery/Memorial: Kettle Cemetery Grave Reference: Z. 12. North. Cemetery/Memorial: Kettle Cemetery Grave Reference: A. 7. South. Additional Info. 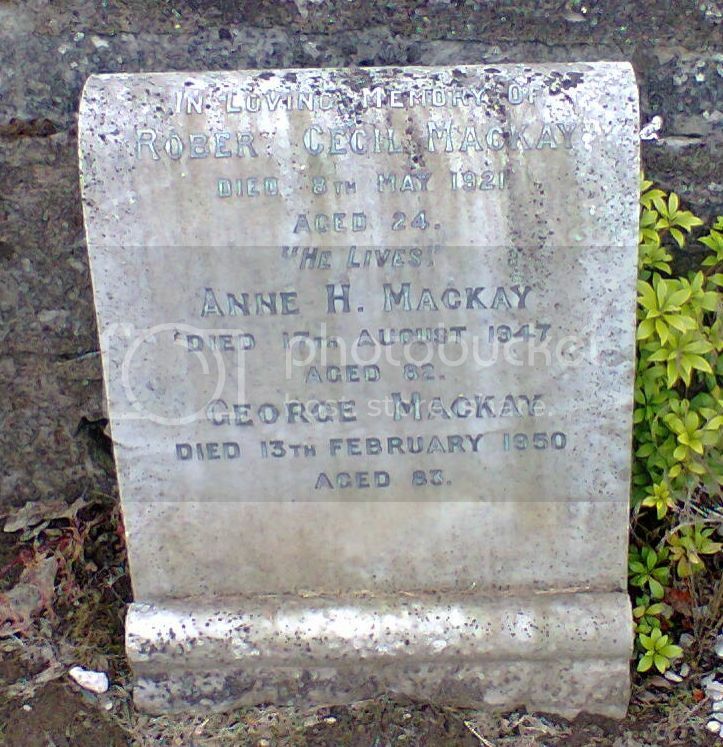 Son Of George And Annie Mackay. Of Kirkforthar Fens, Markinch, Fife. Born At Trinity, Leith. 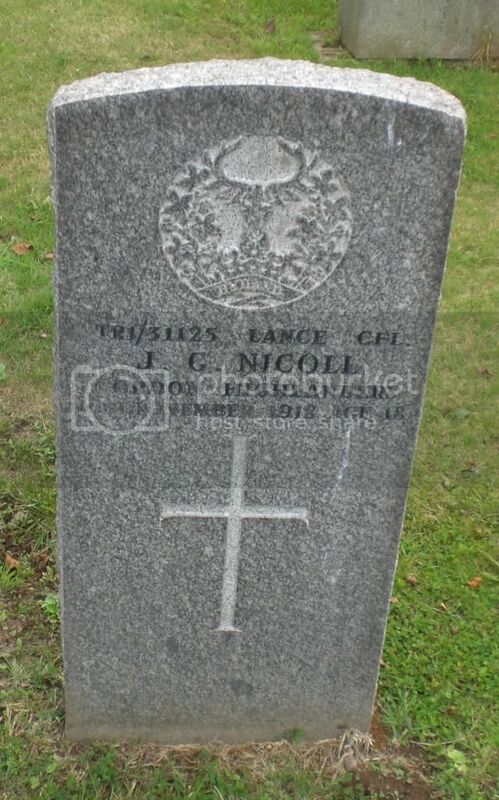 Posted: Thu Aug 28, 2014 1:13 pm Post subject: Nicoll, J.G. Cemetery/Memorial: Kettle Cemetery Grave Reference: X. 19. Middle. Additional Info. 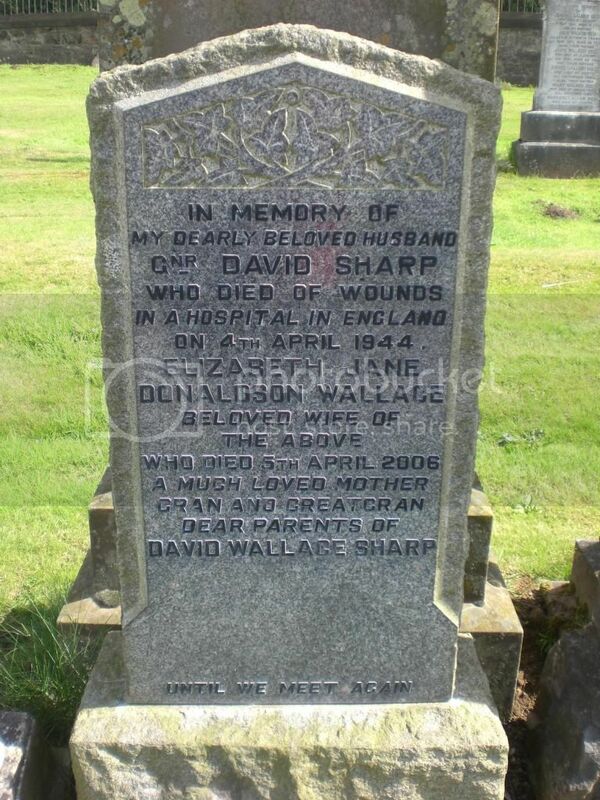 Son Of David And Elspeth Nicoll of Bankton Park, Kingskettle. Unit/Ship/Squadron: 3rd Indian Army Corps Signal Coy. Cemetery/Memorial: Kettle Cemetery Grave Reference: V. 27. South. Additional Info. 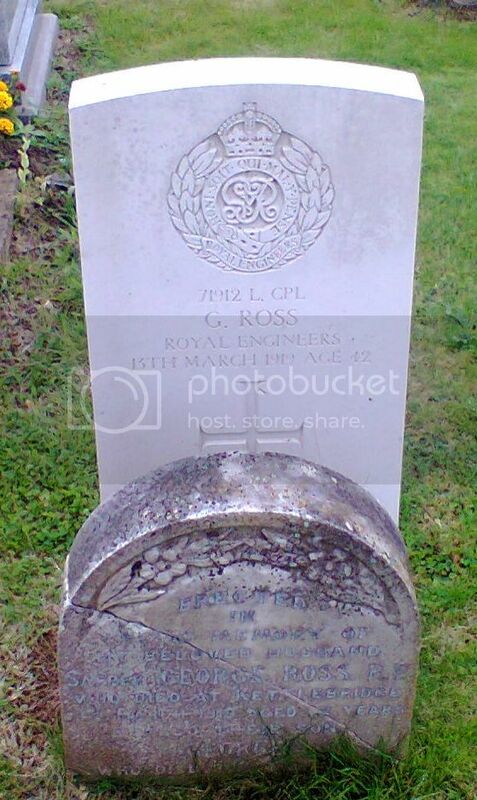 Son Of George And Mary Ross, Of Aberdeen; Husband Of Maggie Forbes Ross, Of 29, West Smeaton St. Kirkcaldy, Fife. Cemetery/Memorial: Kettle Cemetery Grave Reference: Sec. Y. Grave 33. West. Additional Info. 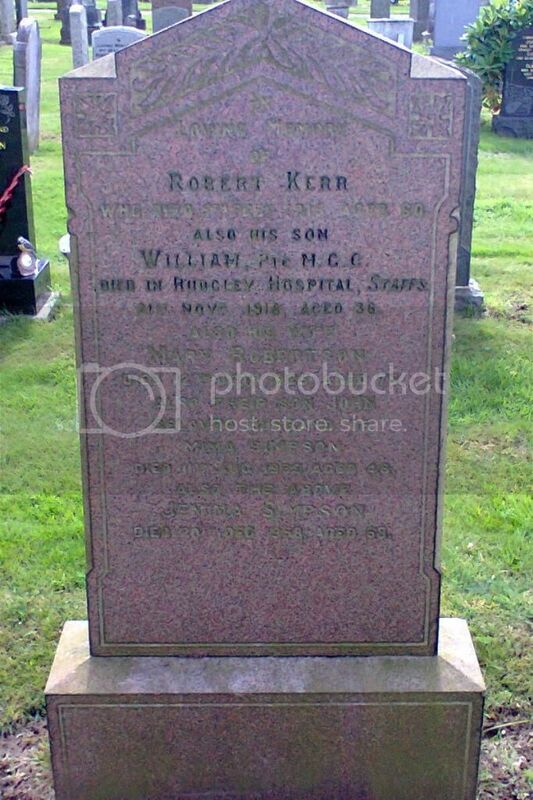 Son Of William And Marjory Miller Sharp; Husband Of Elizabeth Jane Sharp, of Kingskettle. Additional Info. 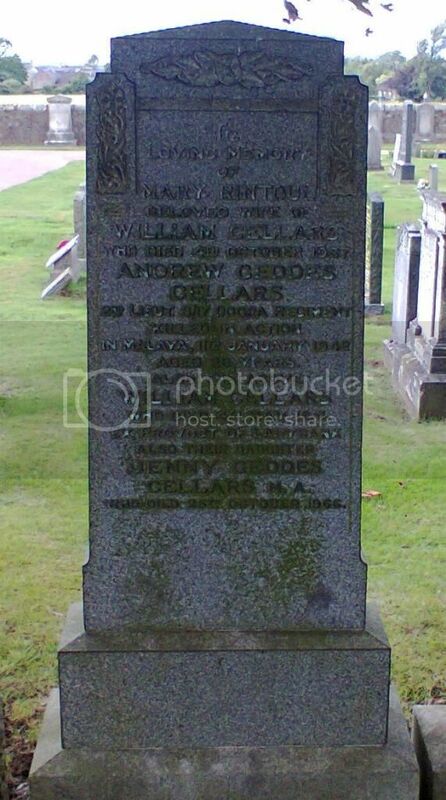 Son of William H. and Jane Black, of Ladybank, Fife; husband of Annie S. Black. 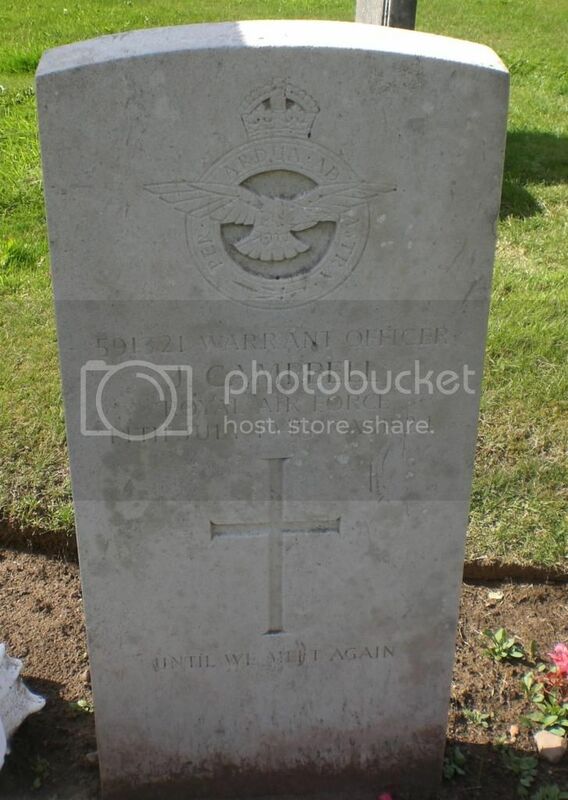 Regiment/Service: Royal Air Force V.R. Cemetery/Memorial: Panel 2. Column 2 of the Malta Memorial. 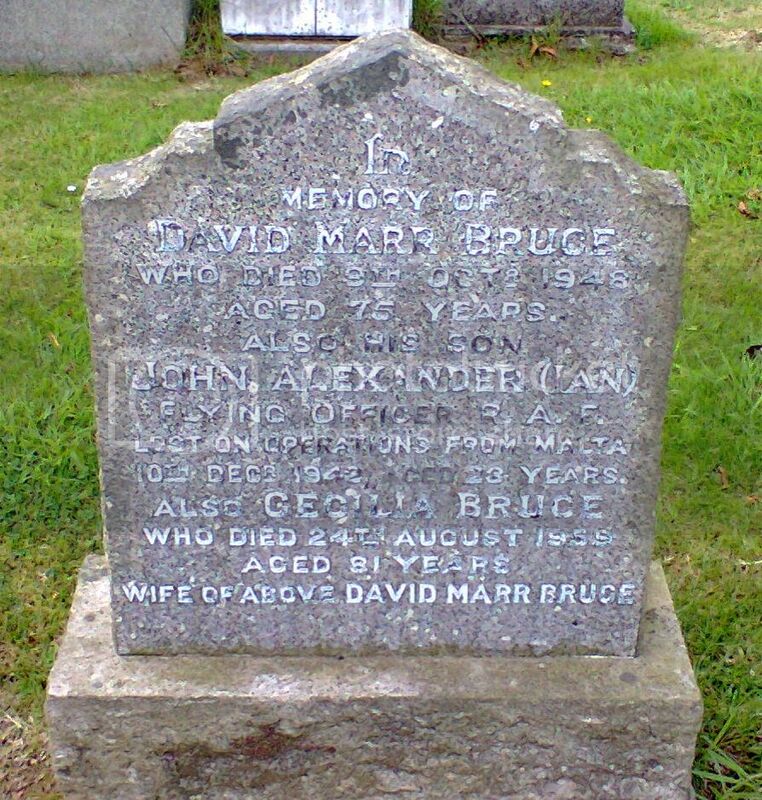 Son of David Marr Bruce and Cecilia Bruce, of Kirkcaldy, Fife. Degree of Faculty of Engineering, Glasgow University. 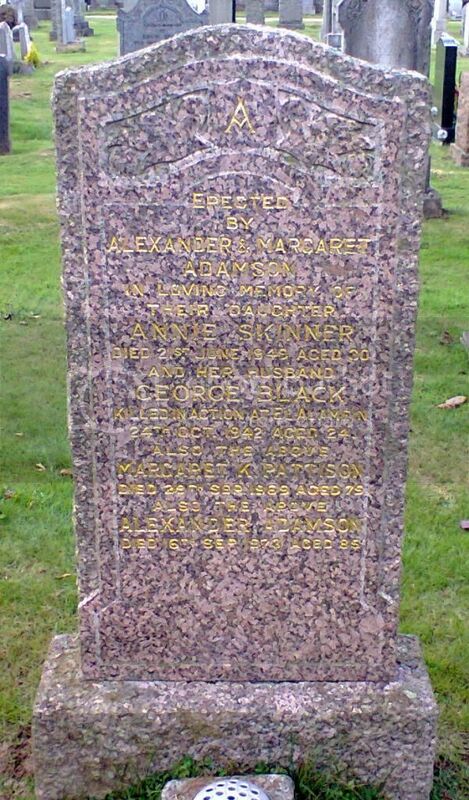 Commemorated on parents' headstone in Kingskettle Cemetery, Fife. Additional Info. 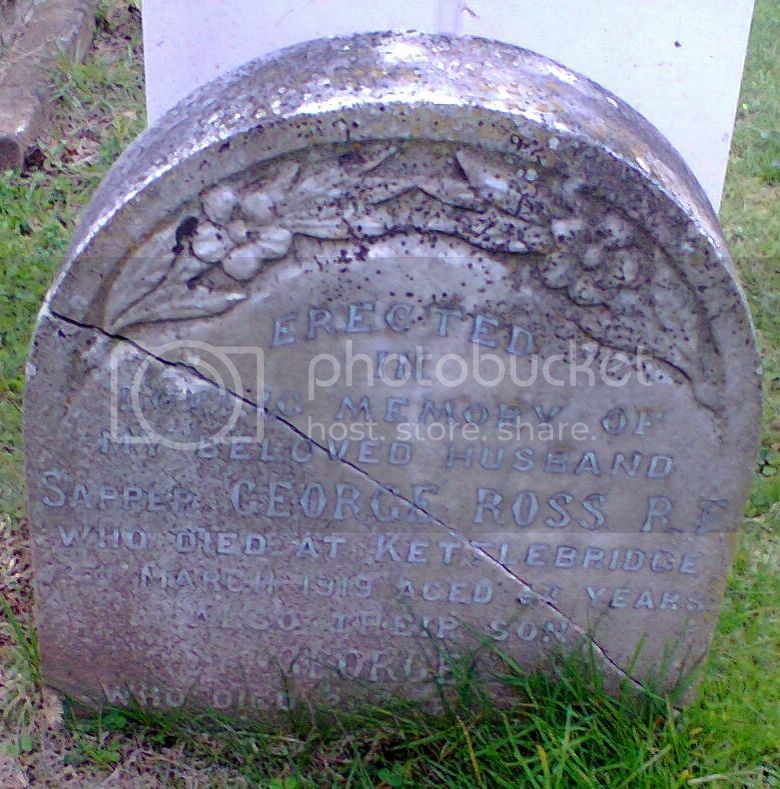 Husband of Elsie Grace Bruce of Christchurch, Canterbury, New Zealand. 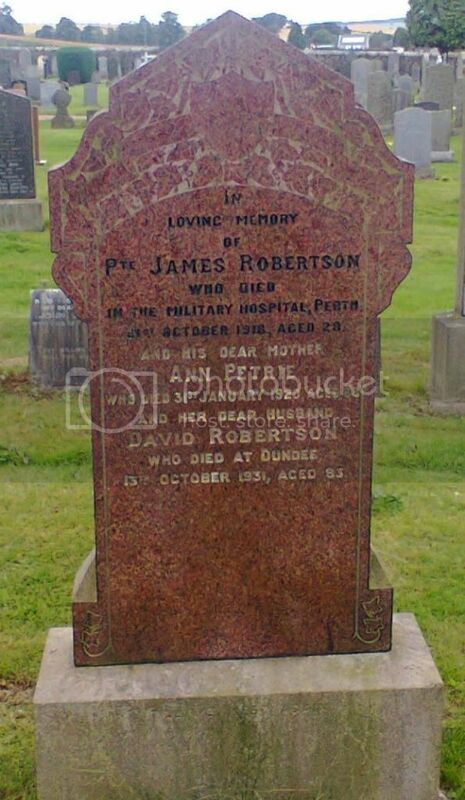 Commemorated on family headstone in Kingskettle Cemetery, Fife.